So you’re not sure if you want to keep it simple.. Or go ALL OUT! We can custom tailor your specific wedding entertainment needs. Here are some fun items to choose from! 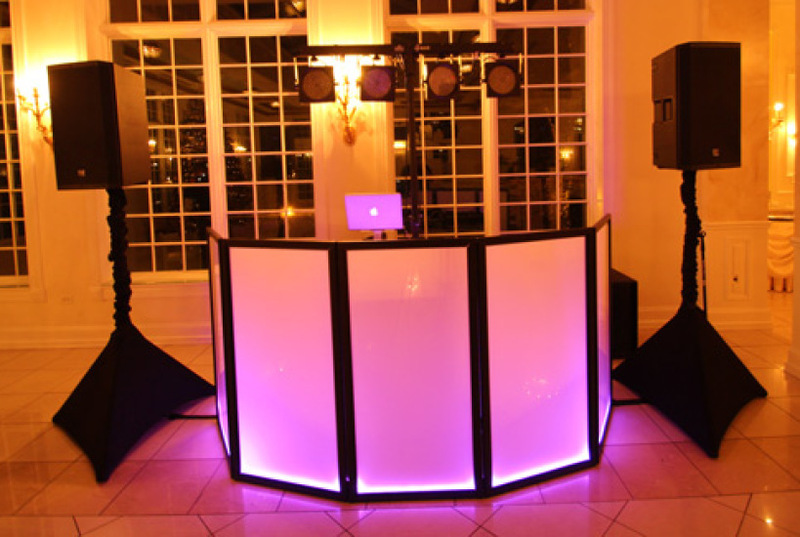 Our famous lighted Dj Booth! Basic sound or upgraded bass-pumping sound.